Why would I need self storage in Wayne, NJ? There are a variety of reasons why you might need self-storage in Wayne, NJ. How much is a storage unit in Wayne, NJ? The cheapest storage unit in Wayne, NJ is $52.00 per month. What size storage units do you have available in Wayne, NJ? In Wayne, NJ we have sizes that range from 5'x5' to 10'x30' to suit your storage needs. How much is it for a 5'x5' storage unit in Wayne, NJ? The cheapest 5'x5' storage unit in Wayne, NJ is $52.00 per month. Located in the heart of Passaic County less than 20 miles from midtown New York City, Wayne is a thriving New Jersey township. It's become an attractive place for newcomers looking for a balanced suburban community within easy commuting distance of the Big Apple. Consisting of 27 square miles of rolling lake country, Wayne has a long history dating back to 1694. That year, a young surveyor and speculator named Arent Schuyler came to the area to ensure that the French weren't trying to convince the native tribes to attack the English. Once he arrived, the surveyor discovered a rich fertile valley, which convinced prominent men in New York to invest in land throughout the area. The land purchase was completed in 1695, and the area became part of New Barbadoes Township. 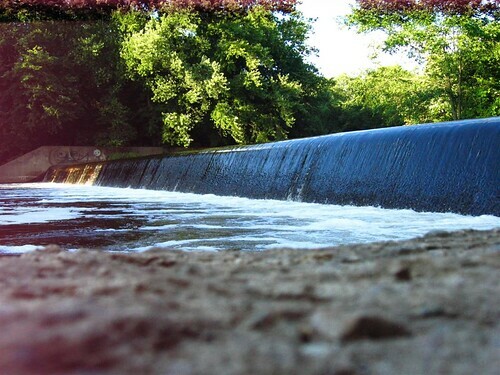 In 1710, it became part of Saddle River Township. It wasn't until 1847 that the first Wayne Township meeting was held. Interestingly, the township has been home to famous residents, including movie mogul Cecil B. DeMille. Wayne offers excellent schools, a diverse community, shopping, recreational centers and beautiful outdoor spaces that provide a good quality of life. The town has experienced steady growth in recent years, thanks to its proximity to Greater New York City. Getting around New Jersey and New York is easy with the New Jersey Transit system and its Wayne Route 23 and Mountain View stations. From there, you can reach Hoboken Terminal, which provides direct connections to Midtown Manhattan. Wayne is home to one of the state's largest shopping malls, Willowbrook Mall. There you can explore more than 200 shops and easily travel across the street to the Wayne Towne Center for even more shopping. The town also offers several historic points of interest that provide a peek into the area's past. The Dey Mansion was constructed in the mid-1700s and served as George Washington's headquarters during the Revolutionary War. The Van Saun House, currenlty a private residence, is another local home that served as wartime headquarters, for Major-General Marquis de Lafayette. Wayne Public Schools, a comprehensive community public school district, serves Wayne students. The district also provides a full continuum of services for special-needs students aged 3 to 21. Passaic County Technical Institute offers a vocational education for secondary school students in the area. There are also several private schools in the area, both faith-based and secular. Utilities: Public Service Electric & Gas is Wayne's primary energy provider, while the township facilitates its own water and sewer services. Garbage and Recycling: Wayne Township provides curbside collection of trash and recyclables. Your home's location will determine your specific collection schedule. Transportation: Wayne is part of the large, well-connected New Jersey Transit public transportation network. Wayne Township consists of 11 different neighborhoods, most of which contain comfortable single-family homes. You can find a variety of homes, ranging from cozy three-bedroom cottages to spacious, seven-bedroom waterfront estates. There are also many rental options, including modern, loft-inspired apartments and quaint town houses with landscaped grounds. Our lowest priced units in Wayne, NJ average $52.00 per month. 48 people have reserved units in Wayne, NJ in the past 30 days. There is 1 location within Wayne, NJ's city limits. There is 1 location in Wayne, NJ that offers AC and Heating features.